Laminate flooring has a bad reputation for being cheap and poorly made, but like everything else you purchase there's a low grade, medium grade, and high grade. Laminate flooring comes in different wood species like White or Red Oak, Brazilian Cherry, Teak, and Koa. These are just a few out of 100's that are available for you to chose from. 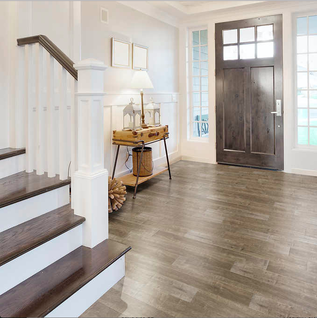 Laminate flooring also has different wood grain textures-- distressed, hand scraped, and raised grain. This helps to reduce slipping and makes the floor look and feel like real wood. There are many flooring suppliers in Hawaii that sell laminate flooring. It's always best to consult a professional installer before you purchase your new laminate floor.